Obama: Chocolate On His Face…. It’s becoming clearer what happened in Benghazi: But you have to believe that our Presidents can order any American citizen to be killed, or just not being saved. That’s not a conspiracy theory. Obama already gave himself the right to kill any citizen he considered a threat to America by executive order. 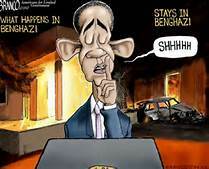 Did Obama sign the death warrant of the ambassador in Benghazi? Let’s follow the circumstantial evidence shall we? After all, if the chocolate cake is gone, and the only kid the house says he didn’t eat it, but he has chocolate all over his face, do you have a case? In court, circumstantial evidence can convict. Why not convict on circumstantial evidence with Obama? 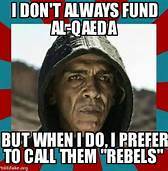 Theory One: Obama planned to arm the Syrian rebels, but he had to do it in a way that he couldn’t be tried for treason, and without Congress. So, he set up a CIA operation in Libya to help send supplies to the terrorists. According to Plumlee, Steven was ordered to stand down after he asked the State Dept. what he should do about the American arm shipments to al-Qaeda. But, that’s not the end of it. Obama and Hillary successfully lied and cover-up the truth until after the elections, when more scandals took everyone off Benghazi. And Obama cleverly, with he support of John McCain, after the WMD attack in Syria, just wrote himself ‘permission’ to send weapons to Syria. President Barack Obama has authorized sending weapons to Syrian rebels for the first time, U.S. officials said, after the White House disclosed that the United States has conclusive evidence President Bashar Assad’s government used chemical weapons against opposition forces trying to overthrow him. Highly sensitive U.S. military equipment used by U.S. Special Forces in Libya was stolen in several raids over the summer by groups likely affiliated with terrorist organizations, State Department sources told Fox News. The theft of dozens of M4 rifles, night-vision technology, and lasers contributed to the decision to pull the 12-member Special Forces team from the country in August. so State pulled its support for the training program and then began to try and get the team moved out of the country.” The loss of this military equipment is what pulled the plug on the US operation,” one source with direct knowledge of the events told Fox News. “No one at the State Department wanted to deal with the situation if any more went wrong, so State pulled its support for the training program and then began to try and get the team moved out of the country.” The 12-member American team was not at the training camp when either raid occurred, as they regularly stayed at a nearby villa that served as a safehouse at night. How many people here believe that any sane person would leave 23— million dollar a piece Humvee NOT guarded by American soldiers right after Benghazi? It was just a lie. Obama GAVE these to the jihadists. There is lots of chocolate on that face, and I’m not a racist. Nobody Wins when you supply your enemy with your top weapons. Obama should be impeached. And McCain can go with him. 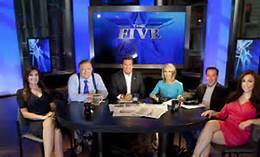 After Glenn Beck left Fox, I started watching the FIVE. Four conservatives against one democrat. And the democrat was not exactly quick on his feet. So, it became part of my day. Not too long ago, the effort to promote The BUSHES, became almost too obvious on the show. Dana Perina was constantly bringing up x Presidents George W. Bush, how wonderful the whole Bush Family was: Daddy Bush had a birthday, George W. was riding his bike, they became grandparents…etc, etc, ..and THEN Dana, started promoting the Bush World View, which is, right now, very closely linked to Obama’s world view. 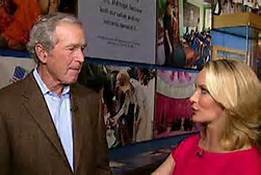 I found myself turning the channel whenever she started on her Bush Love fest. Not because she doesn’t have the right to talk about the Bushes, but to me, she is still George W. Bush’s press secretary. Now, I know this is the new politics: Leaders of both parties put out their spokesmen on the cable networks, who put out their propaganda, so that they remain behind the scenes. She is still doing her job. And Jeb Bush will be President in our lifetime, if they can help it. It’s all about the Bush dynasty. On the other side, we have the Clinton dynasty, and that’s just warming up again. I’m sick of them all. It’s why Americans want NEW leaders, and term limits, which never seen to happen. And then, Ted Cruz came out of nowhere. Like Rand Paul, they really do try to stand up for the American people, but they are not in the “power” structure. And so, it’s was pretty disgusting to see John McCain, trash Ted Cruz. Yesterday on the FIVE, Eric Boiling gave a very superb and stinking reprimand to the Rhino’s in the Congress, who had been attacking Ted Cruz. I couldn’t find it on Youtube, but it was refreshing to hear someone on the FIVE side with the people. And I must admit, Dana is having trouble hiding her anger at Boilling. Basically he said that the new republicans are here to stay, and the old guys days are numbered. This is the attitude all Americans should have. Ted Cruz was right. They all work for us. We should be furious. Bolling said he was audited. And Nobody Wonders, who is going to win on this Bolling VS Perino disagreement. If Bolling goes…so will the ratings. But we will also knows who really runs FOX news. Something tells me, or….I’m hoping, the money wins out on this one. 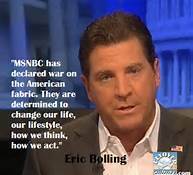 Thanks to Eric Bolling for speaking out….that takes true courage.